As we continue with my series on what ISIS is about, we'll look at their origins, motivations, methods and purpose. Now, with this brief background of fast facts about Islam, let's take a look at ISIS, and let's begin with its origin. ISIS is a Sunni terrorist group that has transformed rapidly into a full-fledged army. 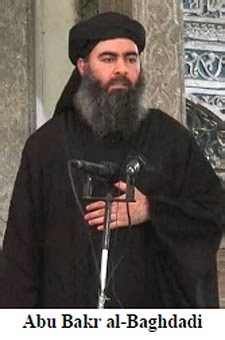 The group was founded by a man named Abu Bakr al-Baghdadi. There is little known for certain about him. He was born in 1971, making him 44 years old. He is believed to have a doctorate in Islamic Studies from the University of Baghdad. Al-Baghdadi became the leader of an Al-Qaeda related group called ISI — The Islamic State of Iraq. He launched terrorist attacks across Iraq, trying to consolidate power. One of his goals was to prevent the Shia majority in Iraq from taking over the government. In 2013 he ventured into Syria and changed the name of his organization to ISIS, meaning The Islamic State of Iraq and Syria. He later changed it again to ISIL — standing for Islamic State of Iraq and the Levant (the Levant being the French word for the Middle East). In 2014 he forcibly took over Al-Qaeda's operations in Syria, and Al-Qaeda disavowed him. In June of that same year, he declared the establishment of The Islamic State (IS), which he described as the beginning of a worldwide caliphate, or Muslim Empire. This announcement electrified the Muslim world. 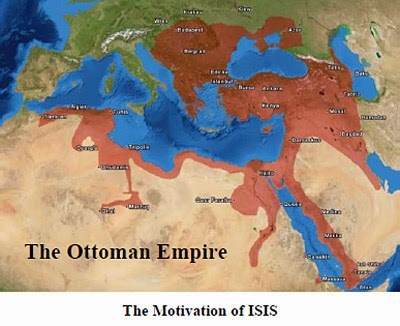 The last Islamic caliphate was the Ottoman Empire that was formed in 1299 and lasted until it was dissolved in 1923. Ever since al- Baghdadi's declaration of the establishment of a caliphate, fighters have been streaming into Syria and Iraq from all over the world, with the hope of helping to expand the territory of the Islamic State to include all the Middle East. Now, this woman is no dummy. She has a Master's degree in international politics and is a former analyst for the CIA. I have to give her the benefit of the doubt and assume that she was just delivering the official line of the Obama Administration. This perverse idea that ISIS is driven by a need for jobs is pure baloney. As one of my staff members observed, "I haven't seen one terrorist yet yelling, 'Jobs! Jobs!' Rather, they all seem to be yelling the same thing: 'Allahu Akbar!' meaning 'Allah is the greatest!'" I have been ordered to fight with the people until they say, "None has the right to be worshiped but Allah" (Hadith 4:196). Strike terror [into the hearts of] the enemies of Allah and your enemies (Sura 8:60). I will instill terror into the hearts of unbelievers. Smite them above their necks and smite all their finger-tips off them. It is not you who slay them, it is Allah (Sura 8:12,17). And if you are killed or die in the Way of Allah, forgiveness and mercy from Allah are far better than all that others may amass [of worldly wealth] (Sura 3:157). Martyrs are promised a sensual and luxurious life in Paradise (Sura 52:17-22). In short, the Muslim Paradise is pictured in the Islamic Scriptures as one of eternal decadence. 1) To overthrow the "secular" rulers of Islamic countries (like Algeria, Morocco, Tunisia, Jordan, Syria and Egypt). 2) To take back the land of Palestine for Allah, exterminating Israel in the process. 3) To conquer the rest of the world for Allah. It is important to note that the eradication of Israel is not the top priority. Nor is Israel viewed as the major obstacle to world conquest. I emphasize this because many Americans are saying that the key to winning the war against terrorism is "to dump Israel." 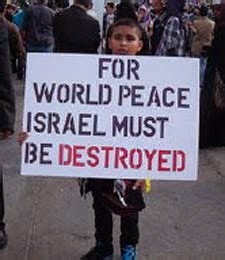 More and more, on radio talk shows, I hear people saying, "Let's cut Israel loose. Let the Arabs have it. Then they will leave us alone." That is utter nonsense. Israel is not the cause of Islamic terrorism toward the West. If Israel were to disappear tomorrow, Fundamentalist Islam would still be determined to destroy America as part of its plan to take the world for Allah. And if we were to abandon Israel, the Muslim world would interpret it as an act of cowardice, proving our word is meaningless and that we truly are, as they say, "a depraved society devoid of values." Our abandonment of Israel would only whet their appetite. Islamic Fundamentalism cannot be appeased. It must be defeated. Regarding the ultimate goal of ISIS, Israeli Prime Minister, Benjamin Netanyahu has perhaps summed it up best when he said, "The Nazis wanted to establish the Master Race. ISIS wants to establish the Master Faith." In the fourth part of my series on what ISIS is about, we'll look to the Bible to learn of their fate.